DirectView provdes a covert HD camera which can be worn on a laple or likewise. 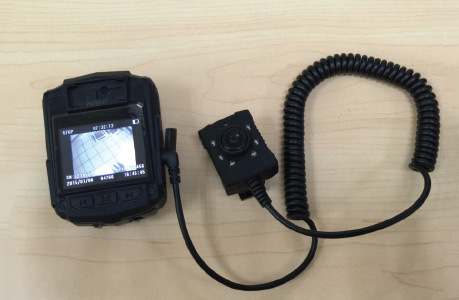 The camera can be worn on a suit or other garments. The low profile camera will take pictures and has full HD video and audio capabilities. The low profile camera is small, lightweight and comfortable to wear. 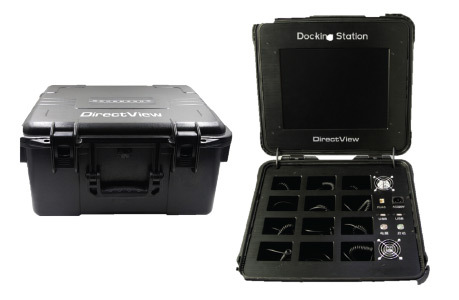 DirectView offers optional 12-unit data download and charging station. DirectView provides options for audio and video, data download to servers for storage. The charging station is small, lightweight and can be used for many specific applications. 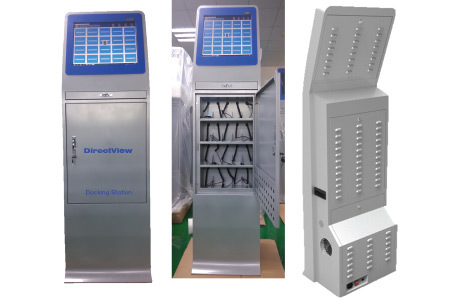 DirectView offers an optional 20-unit data download and charging station. The charging station provides options for data download to servers for storage.